I am not an expert in politics or psychology of war. I am, however, a thinking person and I wanted to apply some of the stuff I work on daily to the conflict in Gaza. I will try as hard as possible to not take sides, although my opinion will come through what I write. I should point out that my position is not the position of the University of Cambridge. I have no clue what the University’s position is. There usually isn’t a unifying one as there are tens of thousands academics working here with wildly different religious and political views, so the University usually stays out of the fray and thus does not risk angering a portion of its staff. What are the official positions of both sides? Israelis say that the violence against them must stop and that they have the right to defend themselves. Full support of international community is claimed. They say that the Israel Army Forces deserve the Nobel peace prize for restraint. They say that they need to kill everyone in Gaza in order to prevent violence against their people. They say that history is written by the winners and thus the end justify the means. In the same blogpost they say that they do not target innocent civilians because they have precision-guided munitions that only kill bad guys and collaborators. They say that the gloves should come off and enough with the soft treatment of Palestinians. They say that Hamas has a network of hidden underground tunnels leading in Isareali territory. Israelis drink beer and cheer bombing of Gaza. Violence against civilians is not stopped or restrained. Flechette shells are being used on populated areas. A father opens a plastic bag: ‘This is my son,’ he says, killed by an Israeli shell. Israel indiscriminately bombed The Shijaiyeh neighborhood in Gaza City. Heavy shelling prevented ambulances from reaching the wounded for hours. In first three days of gaza bombing 95 children are killed. Israelis are using white phosphorus. Four boys killed by a bomb while playing footbal in the Gaza strip. It is fairly hard to not be cynical at this point, and ask questions about where the terrorists using the boys as live shields were hiding in this case and just how precise the precise munitions are. A Palestinian boy forced to drink gasoline and then set on fire as a revenge for someone else killing three Israeli boys. 77% of Palestinians killed are civilians. Israelis bomb hospitals and injure civilians, many of whom are children. Live coverage of Israelis cheering explosions in Gaza. Timeline of violence. Kill ratio of 1:7 in favor of Israel. Israel accused of war crimes by UK MP’s. Israel bombs el-Wafa hospital. Red Cross international calls after shelling starts to ask how long to evacuate before the start in order to not hurt patients. South America (Bolivia and Venezuela) condemn Israel. CNN journalist pulled from Gaza after criticizing Israeli celebrations of shelling of Gaza. NBC Reporter pulled out of gaza after blogging about murders of four Palestinian teenagers playing soccer on the beach. Israelis would tell you that Palestinians are forcing their children into areas that would be bombed in order to elicit outrage. They would also tell you that the underground tunnels pose a clear and present danger because of suicide bombers swarming out of them. They would tell you that they have not been killed en-masse for two reasons only: (a) because they preemptively striked first and (b) they are protected by their missile shield. Palestinians would tell you that their rockets have no explosive, because of the embargo, they would tell you that that they live in an open air prison, where there is no electricity, not enough water, no medical supplies. They would ask where were they supposed to get weapons to attack Israel. They may ask whether throwing rocks at tanks might be seen more a move of desperation than real murderous intent. So, there are two stories here – Either the Israelis are fighting for their lives and the Palestinians are wickedly good at spin plus very high in Machiavelianism (willing to scarifice and maim their children and wives in order to prove a point). Or the Palestinians are being mass slaughtered by Israelis and fighting back with stick and stones out of desperation. We therefore have two opposite views and at least one of the sides is engaging in deception. In the lab setting we are not much better than chance in detecting deception (c.f meta analysis by Bond & DePaulo, 2006). In layman’s terms – if we know nothing about the real situation and are observing a person and asking them questions about the situation we are about as accurate as flipping a coin is. When it comes to high stakes lies (i.e. lies where getting caught matters to you), we are a bit better (around 70% accurate). Still, we cannot be sure. And we cannot be sure in the context of this conflict. I suppose it is possible that Palestinians are lying, but I believe it is extremely unlikely, as deception is engaged when there is some benefit to be gained by it, usually. And here the benefit (the outrage of the world) does not outweigh the cost (thousands of people dead from the start of the conflict, 50 years of siege, destroyed infrastructure and no hope for the future generations). Now, I know that Nietzsche said that the rich have power and the poor have morals (paraphrased) and one could argue that Palestinians are saying: “Well my kid has lost his legs and my daughter is blind, but at least the West knows who is the moral victor here.” I find that implausible and more than slightly cynical, though. In thinking about how to approach this mess, it occurred to me, that who is lying and who is right may not be the main issue at all. – The conflict has been going on for 47 years. – As a consequence of (in)direct military action 7000 Palestinians and 1000 Israelis died during this time. It is hard to estimate how many people died from the consequences of the armed conflict (hunger, suicide bombings, lack of medicines, etc) so let’s not go there and stay with reported facts. – In the “Protective Edge” about 30 Israelis died (2 civilians) and about 500 Palestinians died (406 civilians, but may be more, depending on your definition of a “militant”) according to the U.N.
– There are video tapes of Israelis using white phosphorus (linked above) on Palestinians. Phosposhorus is hard to control and causes burns on people regardless of whether they are “militants” or children playing soccer. – The whole “Protective Edge” operation started because three Israeli kids were killed (and we do not know by whom, to be clear). When you kill 10 people for every one you lost? 20? 50? 100? 500? Everyone? When can you stop kicking a dog that is down, because you are sure they learned their lesson? When does the fact that you are the most macho, ubermenschian race in the region come through clearly enough? How much dehumanization is needed for the lesser race to understand their place? 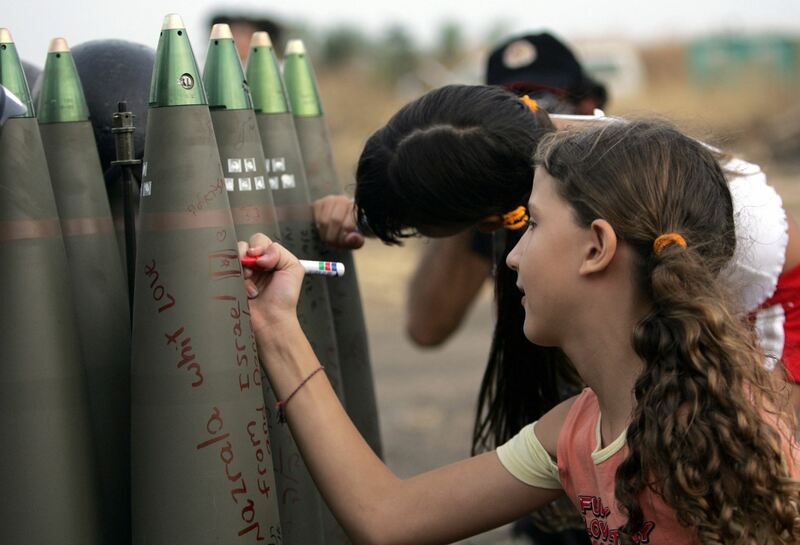 Make no mistake, Israel spends $18 billion on arms every year. There is no question who is better funded in this conflict. So, I am asking, when does one feel that they have successfully prevented the buzzing fly from ruining their breakfast? When you have vastly superior infrastructure, army, defense capabilities etc, do you have kill *every* Palestinian child or is 1 out of 3 enough to prove a point? In what world is it justifiable to force a kid to drink gasoline and then set him on fire, regardless of his innocence? My point is. Let’s forget about who is moral and who is not. Let’s forget about pain and death and help me answer this simple question. When is it enough? When are you satisfied? Let’s be clear about something here. This is neither a pro-Palestine post, nor an anti-Israeli one. I have accepted the premise that each side has their own position and am working inside those parameters, regardless of whether they are objectively true or not and whether I agree with them or not. What I am saying is that if we accept that there are reasons for retribution, well, how much retribution is needed to satisfy? Bond, C. F., & DePaulo, B. M. (2006). Accuracy of Deception Judgments. Personality and Social Psychology Review, 10(3), 214-234.